Great first Strength and Conditioning session! Yesterday was the first Strength and Conditioning session at Heavy Metal Gym in Ilkley. It was a great mixture of people from different sport who attended. 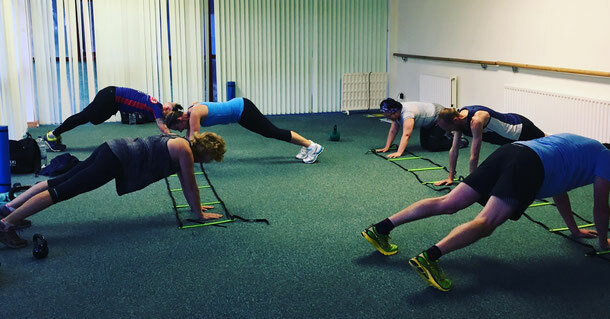 The aim of the sessions are to help people improve their strength, balance, coordination and endurance through a combination of both high and low intensity movements. We use body weight, as well as some external resistance in order to achieve the desired outcome. The sessions will suit a variety of levels and abilities as class numbers are small in order for me to give continuous feedback throughout the sessions. Sessions are held at Heavy Metal Gym in Ilkley at 7.30pm on Monday evenings. If you want to come along, you can email me on mtorland@googlemail.com or ring/text me on 07942461440.